There is no way around it. Moving is a stressful, time intensive job. Trust our expert Mesa Movers to handle every aspect of your upcoming move. 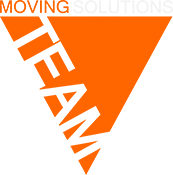 If you’re looking for professional Mesa movers to do the heavy lifting for you and take the hassle off your hands, look no further than moveON moving. Our Mesa movers are licensed by the Department of Transportation and registered with the Federal Motor Carrier Safety Administration. As Mesa movers, we’ve been transporting our customers’ precious cargo all over the U.S. for years. Moving containers are becoming more popular these days with people who chose DIY moving. Moving containers can actually end up costing you more than using a traditional Mesa moving company such as moveON moving. When using a moving container, many times the customer rents a container either too big or too small to move their items, which ends up costing more money. moveON moving offers great Mesa moving services that are exactly what our customer needs such as packing, loading, unloading, and storage. Think of all the stuff you’ve accumulated over the years. Appliances, books, toys, dishes, flatware, clothes, knick-knacks, and more. Oh, and don’t forget furniture. All that heavy, bulky furniture. Save yourself the stress (and the lost sleep) and leave your relocation to our professional Mesa movers. More than just one of many Mesa moving companies, moveON has what it takes to get your entire office up and running across the country. Whether you’re doing it yourself or hiring some cheap movers to get it done for you, there is a lot that can go wrong with a move. Here’s our take on troubles to avoid when moving from Mesa AZ. At moveON moving, we’ve been helping customers relocate long enough that we’re pros at fitting exactly the right truck to match your move size. If you aren’t comfortable risking renting the wrong size, consider hiring a professional Mesa moving company to do the job for you. Not only will you be ensured the proper truck, but you won’t have to lift a finger to pack it. When you choose moveON as your Mesa company, you’re getting more than quality service from experienced professionals. Your getting expert Mesa Movers with the knowledge and experience to safely transport your household goods to your new home.